Interesting review. 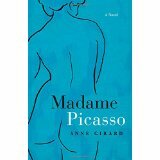 Somehow I would never have thought of Picasso as vulnerable and giving, but only arrogant. I probably got that idea from his portrayal in a movie. I don’t think he was that way in most of his relationships.